Have you ever enjoyed a DHS band program, whether it was you personally performing, or a child or grandchild of yours? Have you ever experienced the pride of those stepping on to the field as a member of the DHS marching band, or the exhilaration of the collaborative efforts on the stage of symphonic band? Ever tap your toe along with the Jazz band? Can you still see the smiles of those in attendance, loving the squeakiness of their child’s first elementary band concert? Please help keep these memories going on for generations! 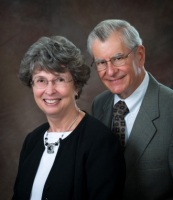 The Defiance High School Band fund was established by musically proud grandparents who wanted to foster the DHS band program for future generations! They had a sincere desire to help and encourage children in need, combined with a love of instrumental band, and they hoped the creation of this Fund would be the starting point that accepts future gifts from those with similar values for generations to come. Annual distributions from the endowment fund are directed by the Director of Bands for Defiance City Schools to benefit the areas of instruments/ equipment (musical and/or marching), educational supplies, lessons, or start-up programs. Cletus Vetter gave endless hours of volunteerism and was active in many organizations. He was elected to the Defiance Soil and Water Conservation District (SWCD) Board of Supervisors and served from 1961 – 1981. He was also an Area 1 SWCD Director from 1979 – 1981. Clete received numerous awards and distinctions, not only at the local level but at the county and state level as well. He definitely had an impact on soil and water conservation through his farming practices and his leadership. 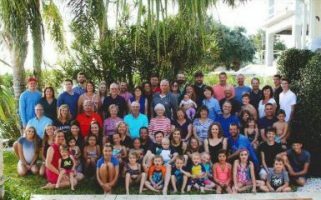 During Clete’s lifetime of being a farmer, he loved to nurture the soil and watch his crops grow. In 1998, staff members (Jim Harris, Mike Bof, Rick Hall, Kevin Hancock and Terri Agler) of the Defiance SWCD were interested in establishing a college scholarship fund for a Defiance County student. With this in mind, they decided to “pay it forward”. 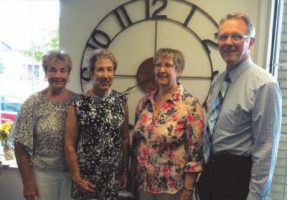 The Defiance Soil and Water Conservation District established a fund in memory of Cletus Vetter. This annual $1,000.00 college scholarship is meant to bring back into focus the vital necessity and passion for resource conservation by encouraging college-bound students to consider a career in conservation, natural resources, agriculture or a related field. Together, we can ensure that the legacy of love and respect to not only his family but to the many people Clete Vetter selflessly gave himself to lives on forever through Defiance County. Thank you to the SWCD and the entire Vetter Family for your gifts! 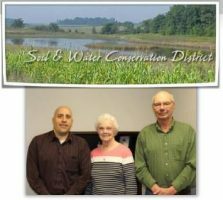 Pictured (L t o R) Jason Roehrig, District Administrator – Defiance Soil and Water Conservation District, Alice Vetter, and Daniel Vetter. Pam and I have been lifelong su pporters of performing arts by our attendance at band and choral concerts, dance and vocal recitals, as well as plays and musicals of all kinds. We are lucky to be within an easy day’s drive of major cities such as Toledo, Cleveland, Columbus, Detroit or even Chicago, all places where performing arts thrive. We have certainly appreciated the opportunity to attend symphony concerts, ballet presentations and theatrical productions, both professional as well as regional or amateur performances. 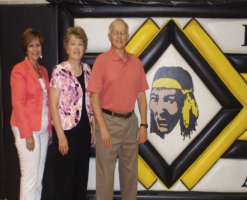 Final drum roll please……nearly $90,000 (including pledges) was raised in less than two years in the Fairview Schools Fund to be used for scholarships and mini-grants. This team has an initial goal to grow the fund to $100,000 to benefit teachers and students of Fairview Schools.